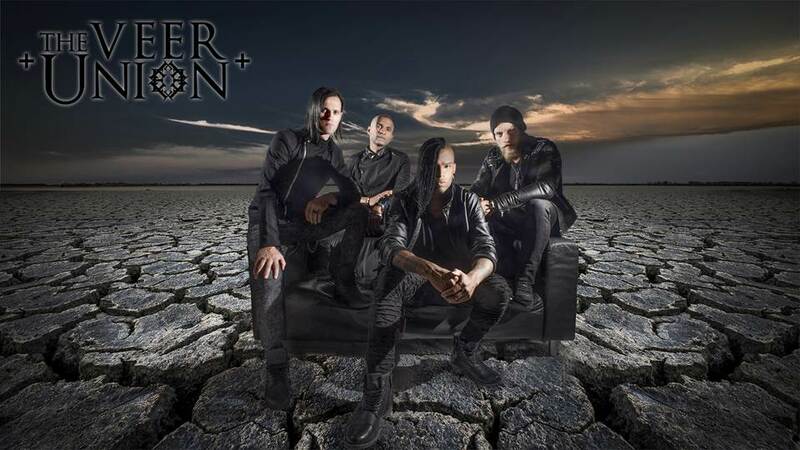 Formed over 10 years ago in Vancouver, British Columbia The Veer Union have become a name of promise in the music industry due largely to the bands catchy hooks in songs and the frontman Crispin Earl‘s melodic vocals that can bite and also soothe depending on the instruments tones. After many lineup changes we find the band left with one founding member, Crispin Earl, who has kept the band alive and reformed The Veer Union with a new lineup of musicians and a passionate driven effort entitled Decade. When approaching this album as a long time fan of TVU, I found myself yet again satisfied at the content of the lyrics, the heaviness of the guitars, the bands ability to shift from soft to heavy in a matter of seconds creating a emotional pallet for each song. Defying Gravity – This lead single off of Decade is a heavy song from guitars to the lyrics as Crispin is most likely sharing his journey as a musician and the ups and downs of keeping a dream alive. Defying Gravity can also be seen as a song that shows a band defying the odds and criticisms of those who would say turn in after the first lineup change. The Veer Union, however have persevered and are expressing this message to all of us. So could that be a message of empowerment and strength to us when we feel we want to give up? That’s for you to decide. You Can’t Have It All – This song features a very melodic intro of a guitar drenched in a chorus and delay effect to make the song seem so lonely. Earl’s vocals throughout convey this message of not being able to control the turns life chooses us to take. The term ‘You Can’t Have It All’ is somewhat of a time old saying. Much like Icarus wanting to fly high, we must always remember the sun can cause us to burn out if we expect too much and appreciate so little. That’s my take on how this song is played and seen. It’s heavy in melodic nature and overall a very sobering song to be appreciated. I Said – Taking on the approach of a one sided relationship, Crispins heartfelt vocals ring softly to the underlying foundation of electronic effects with prominent drums creating a somber songscape for the words to flow vividly through. This song can be taken in the light of giving your all to someone who expects you to be the only one to change or make compromises without the return of appreciation or a simple Thank You. That said it can also be seen as a song of realizing your drowning in such a relationship and it’s time to move on from a bad situation. I Said is a track that shows even the brightest of hearts and minds deal with the effects of a bad business relationship or a personal one. It also shows once you realize a line needs to be drawn, do it, say it, and move on. Heart Attack – Very straightforward and abrupt, the lyrics approach the subject of someone being so dark they can’t see they are self-destructing and despite best efforts, no one can save them from themselves when this point is reached. Backing up those lyrics the song structure is very chaotic yet tight when the guitar runs it’s own little solo thing throughout the song thus giving the foundation needed for this turbulent topic of reaching through to a dark mind. 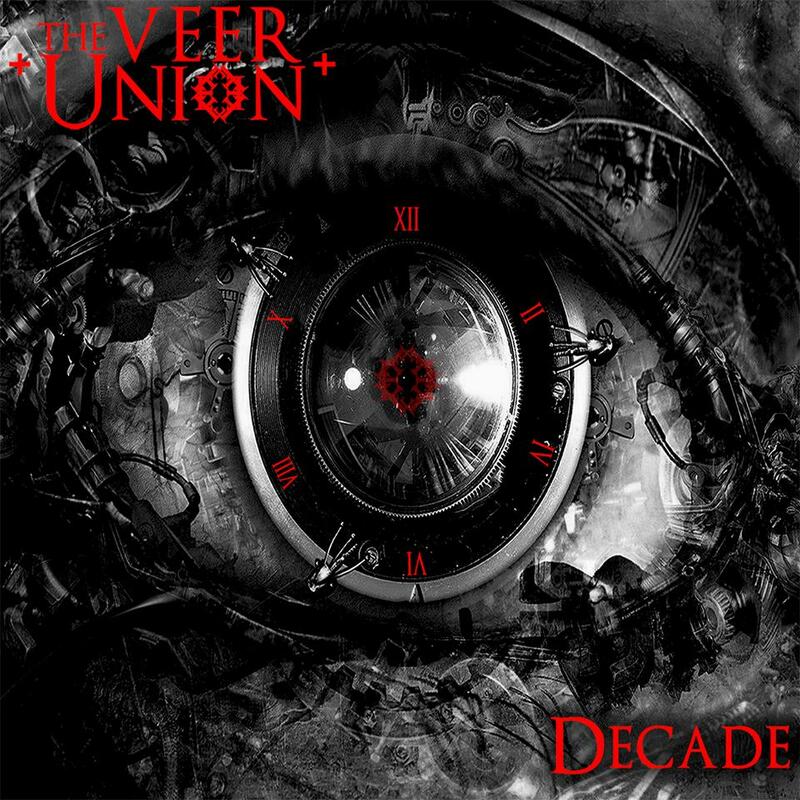 Decade by The Veer Union is a powerhouse of a comeback from a band many thought would end with just one standing. Crispin Earl and the rest of the Veer Union have proven that when a vision is still flickering, the light can get brighter. Through my eyes this is a fantastic rock album full of heaviness, chaos, melodic transitions, and harmony of surviving the ups and downs of life. A message Contrast CTRL is always happy to spread to the masses. The Veer Union in my eyes is a band that is still alive and well in the hands of singer Crispin Earl as he keeps his vision alive as well as the joining band members who bring a new foundation of rich guitar work and bass and drums that collide into a larger than life sound. So as always take the time to read the article, listen to the music, support the band if you like it, and most of all, find something that relates to you or simply gets you in a happy music listening mode. Personal Favorite Tracks: The Underrated, Heart Attack Defying Gravity, You Can’t Have It All, I Said, We All Will, Watch You Lose. Album, Contrast CTRL, Decade, James West, Review, Rock, the, Veer Union. Bookmark.